Swanicoco is one of the Korean brands I’ve been itching to try. This natural beauty brand isn’t as well-known in the US as some of the more mainstream Korean brands, but it has a loyal following and gets great reviews. I had been pretty much salivating over their products ever since my blogger friend Vanity Rex reviewed a few of their lines, so I was pretty psyched when I got the opportunity to try some of their products through their SWANS reviewing program. After emailing back and forth about my skin concerns, Kevin at Swanicoco recommended the Peptine Care line for me to try. This is an anti-aging skincare line that focuses on brightening and on restoring elasticity. I had the chance to try the Peptine toner, emulsion, and cream. This ingredient list is pretty much full of all the botanical goodness you could ask for, coupled with some hard-hitting science-backed ingredients. I mean, rice ferments, wild ginseng, sodium hyaluronate, niacinamide, a gazillion peptides, and more? It’s as if your favorite hanbang (traditional herbal medicine) brand and your favorite dermatological brand had a baby. Rice ferment filtrate, the first ingredient, is one of my favorite ingredients in skincare – it is skin-softening and brightening and just generally glow-inducing. Poris cocos extract, the second ingredient in the toner and the emulsion, is an antioxidant mushroom extract that is supposed to be soothing and anti-inflammatory. Don’t be too alarmed by the creepy name of human oligopeptide-1 — this epidermal growth factor (EGF) is derived from plant sources through DNA technology, but it can be a controversial ingredient, so you may want to read up on it before using it (this is an excellent balanced article discussing the pros and cons of EGF). I remember thinking to myself when I first started using the Swanicoco Peptine Toner, “This feels like it has collagen in it”. And sure enough, there it is, fourth on the ingredient list. Now I know collagen sounds great in theory, but in real life I find that products with collagen sit on top of my skin and don’t quite absorb the way I want them to. And even though this product contains hydrolyzed collagen, which means it has been broken down into smaller components to help it to absorb, I still find that the Swanicoco Peptine Toner left a moisturizing residue on my skin. Personally, I prefer that my toner absorb completely, because I usually layer many other products on top. I found that because of the slightly oily-feeling residue, I couldn’t use as many serums over it without feeling greasy. So the Peptine toner wasn’t my favorite product of the set, despite how attractive the ingredient list was. However, I do think that if you were using ONLY the toner, emulsion, and cream, the extra richness of this toner would work great to keep skin moisturized without using additional products. This makes sense, as the products are designed to be used in conjunction with each other in a set. I can’t help it, I like to mix and match ;). The Swanicoco Peptine Emulsion is a light lotion that feels very hydrating. It is meant to be used after serums but before cream. If it is enough moisture for you, it can also be used as your moisturizer during the day. Despite the fact that the toner and emulsion have nearly identical ingredient lists (there are a few different extracts in the emulsion and the inclusion of stearic acid to make it white and fluffy), the two feel quite different when applying. The Peptine emulsion feels like a light watery cream. It has a smoother, less tacky finish, and in an emulsion, some level of occlusion is desirable, as opposed to in a toner. Of the two, toner and emulsion, I prefer the emulsion. And this is coming from someone who doesn’t really use emulsions that much! The gel-like (but silicone-free! ), watery feel of the emulsion adds an extra layer of hydration after my serums, and I love how it softens my skin and offers some occlusion and protection. On days when my skin feels nicely moisturized, I can use this as my moisturizer under sunscreen. Again, some amazing ingredients and extracts in this cream, no fillers, which is something that I’m finding to be a theme in Swanicoco products! The second ingredient, centaurea cyanus flower water, is derived from cornflower, and it is known to have skin-conditioning and anti-inflammatory properties. This also contains astaxanthin, a potent antioxidant derived from algae. This is in addition to all the peptides and extracts. The Swanicoco Peptine Cream is my favorite product of the set and you can pry it from my dead cold hands! I’ve been using it consistently for the past 6 weeks and it has become my favorite night cream. I was initially nervous that it would be too thick and heavy for me, because it is an anti-aging cream, but it is not at all. It’s actually surprisingly non-greasy, and a light to medium consistency, so it’s perfect for my combination-dehydrated skin. It feels ridiculously soft and creamy as you apply it; it is seriously just a joy to apply. I have noticed that since I’ve been using this cream over the last couple of months, my skin has steadily been getting more refined and radiant-looking, but I’m not sure if I can completely attribute it to this cream, as I have a pretty aggressive exfoliating regimen as well. But the Swanicoco Peptine cream has definitely helped to soothe and calm my skin, and has become an integral part of my routine. I do think that if you have very dry skin, you’ll need to add a sleeping pack or an oil in addition to the Peptine cream, as it is quite light for a night cream. It does play nicely with facial oils, and it’s one of my favorite routines to mix it with a couple drops of Fresh’s Seaberry Oil at night. With this combo, my skin is glowing in the morning. This cream is definitely expensive, but I think it’s really worth it. There are no fillers, and many of the extracts and ingredients are premium ones, so I can see why it’s this price. I found two winners in the Swanicoco Peptine Care line — the emulsion and the cream. They are both bursting with soothing, brightening extracts and I believe they’ve contributed to the improvement of my skin in the last couple of months. Both are staples in my routine, as they keep my skin soothed, moisturized, calm and happy. While I love the ingredients in the toner, I just personally prefer a toner that absorbs more completely and allows me to layer several other products on top, so it was the one part of this set that I didn’t fall in love with. As a set, I think the Swanicoco Peptine line works really well as a complete skincare regimen (minus cleanser and sunscreen of course). 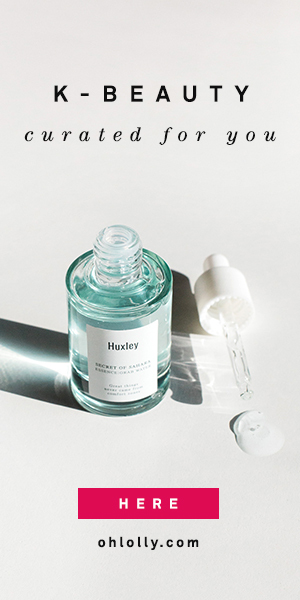 The toner is moisturizing enough that you could skip serum, and the products are very hydrating, moisturizing, yet also include a TON of anti-aging ingredients. I’m impressed by these offerings by Swanicoco. Based on my experience with the Swanicoco Peptine line, I feel that I have a pretty good idea of what Swanicoco is about. They use a lot of high quality premium extracts in their products, and they combine all that herbal goodness with the latest cutting edge technology in skincare. I still have a brightening ampoule from their Dr. Syul line to try and I just purchased the Swanicoco Fermentation Care serum to try as well, so I’ll be back here with more Swanicoco reviews soon! This post contains affiliate links. Purchasing through an affiliate link generates a small commission that supports this blog, and you won’t pay a penny more. It sound like something I would definitely try and most likely love. Thank you for sharing and will be keeping an eye on it. Swanicoco is one of the most interesting brands I’ve come across! I hope you get a chance to try their products!